Do Big Brands See Big Business in Video for Digital Advertising? If you think big brands think little of video in digital advertising, think again. Top brands actually love adding this visual element into their digital campaigns. Various research studies show that video continues to awe both big brands and content marketers, which has driven them to increase their use of videos on social platforms, as well as mobile apps. Business2Community.com analyzed all of this research to show how video in digital advertising is a big deal for big brands. When it comes to placing digital ad campaigns that incorporate video, certain digital platforms are more cost effective than others. According to research from Moz.com, advertising on social platforms is the most cost-effective solution, with ads on Facebook, LinkedIn, and Google AdWords costing merely a fraction as much as media types like newspaper, magazine, radio, and cable to reach 1000 people. And with social media platforms offering outstanding market exposure and targeting capabilities, big brands would be wise include digital advertising on social platforms in their ad strategies for 2016. 89 of the BrandZ Top 100 Most Valuable Global Brands had already developed at least one mobile app for their brands by 2013. More than 50% of companies are planning to have at least ten enterprise apps by 2018. 42% of North American B2C brands are currently using mobile apps to market. 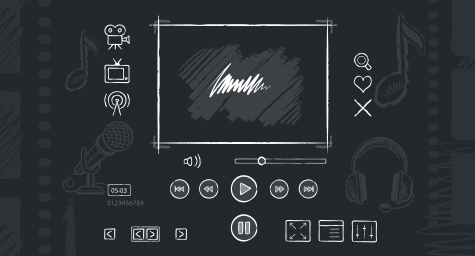 In 2015, there were more than 200 million digital video viewers in the United States. In 2016, there will be 1.5 billion global online video users. Online users spent 88% more time on a website with video content. 87% of online marketers currently use video content for advertising. 60% of people prefer viewing a video message than reading content. With research showing that video holds incredible potential for brands of every size, brands and digital marketers should keep their eyes and their spending on video. Learn what’s big for brands in digital marketing. Contact MDG Advertising.